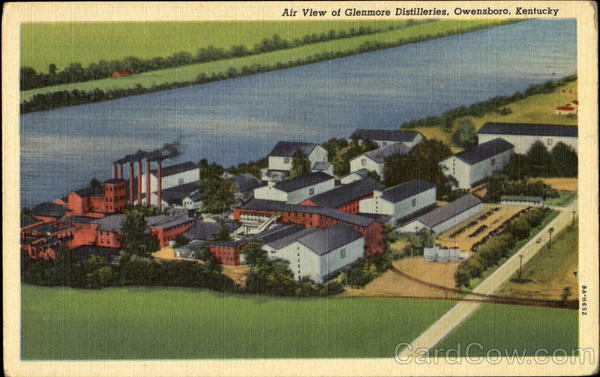 The distillery (pictured) closed in 1973 and the company died in 1991 but Glenmore's last leader, grandson and namesake of the company's founder, just passed away earlier this month. In the new Bourbon Country Reader, we celebrate the life of James 'Buddy' Thompson and look back at the history of Glenmore Distilleries. With Glenmore we're looking to the past, but with our story about Beam Suntory's new Legent bourbon we glimpse one way the future of American whiskey may unfold. We also take a brief look at something new from America's other mega whiskey-maker, Brown-Forman, their Coopers' Craft bourbons. Current Reader subscribers should receive their copies next week. New subscribers can get on the bandwagon by clicking here. Founded in 1994, The Bourbon Country Reader is the oldest publication devoted entirely to American whiskey. It is a charming mix of news, history, analysis, and product reviews. Do you worry that advertising spending influences coverage in other publications? No chance of that here since The Bourbon Country Reader is 100 percent reader-supported. It accepts no advertising. To experience The Bourbon Country Reader for yourself, you need to subscribe. Honoring history, The Bourbon Country Reader still comes to you exclusively on paper, in an envelope, via the USPS. A subscription to The Bourbon Country Reader is still just $20 per year for addresses in the USA, $25 for everyone else. The Bourbon Country Reader is published six times a year, more-or-less, but your subscription always includes six issues no matter how long it takes. For those of you keeping track, this new one is Volume 19, Number 3. If you want to catch up on what you've missed, bound back issue volumes are available for $20 each, or three for $50. That's here too. If you prefer to pay by check, make it payable to Made and Bottled in Kentucky, and mail it to Made and Bottled in Kentucky, 3712 N. Broadway, PMB 298, Chicago, IL 60613-4198. Checks drawn on U.S. banks only, please. I moved to Louisville from Columbus, Ohio, in February of 1978. I moved there for a job, at a local advertising agency. My job was to write and produce television and radio commercials for the agency's clients. Most of the television commercials were shot at the local television stations. When we made filmed commercials there was a local filmmaker we used, we also worked with people in Nashville. We had some clients in New Orleans and worked with some production companies there as well. Louisville always had a small community of people who could crew such a shoot on a freelance basis. There was also a small community of actors and models, almost all part-time, who we used as talent. I learned about many of these local resources from my bosses, the men who had run the agency since the 1950s. The group was small but capable, some were outstanding. We called it the Louisville talent puddle because it wasn't big enough to be a talent pool. As I got to know people in that small community, I began to hear the name William Girdler, a filmmaker who had died about a month before I got to town. Just about everybody had worked with him or for him. One actor we worked with frequently, Charlie Kissinger, had parts in several of Girdler's films. Girdler, I learned, was a Louisville native who had started his production company, Studio One Productions, while in his early 20s. Right out of the box he was making low-budget features. The first was "Asylum of Satan" (1972), followed by "Three on a Meathook" (also 1972). Both films were shot in and around Louisville with local talent on both sides of the camera. In our small community, everyone had a Girdler story. No one seemed quite sure how he funded his productions but they all made money and after the first two, he was making films under contract to Samuel Z. Arkoff and American International Pictures. 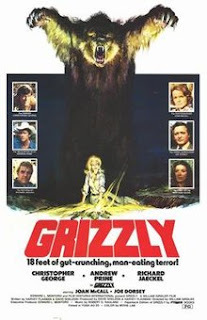 Several of Girdler's films were knock-offs of current major studio hits, he made an "Exorcist" clone called "Abby" and a "Jaws" clone called "Grizzly." "Abby" was a 'blaxploitation' film, as was Girdler's next effort, "Sheba, Baby," an action film starring Pam Grier. After "Sheba, Baby," Louisville's time as a feature film production center was done. Girdler went to Hollywood, but he took some of his Louisville crew along. I heard a lot of stories about "Grizzly." It was Girdler's biggest hit, a virtual scene-by-scene duplicate of "Jaws" featuring an 18-foot grizzly bear instead of a great white shark. The film's star, a real bear named Teddy, was only 11 feet tall, but he played big. Girdler made two more features. He directed nine features in six years, writing three of them, before dying in a helicopter crash in the Philippines while scouting locations for his next film. He was 30 years old. I lived in Louisville for nine years, until 1987 when I moved to Chicago, but I have been involved with the city and with Kentucky ever since, mostly because of bourbon, but the area has so many fascinating stories. William Girdler's is one of them. 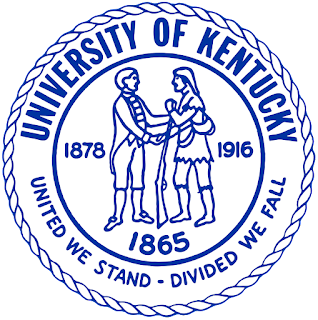 Beam Suntory, which owns the Jim Beam Bourbon brand, is donating $5 million to the University of Kentucky to establish the James B. Beam Institute for Kentucky Spirits. The Institute will educate the next generation of distillers through a curriculum that covers the skills needed to succeed in the distilled spirits industry at the undergraduate, graduate and professional levels. The $5 million represents Beam Suntory’s largest single philanthropic or educational gift in company history. 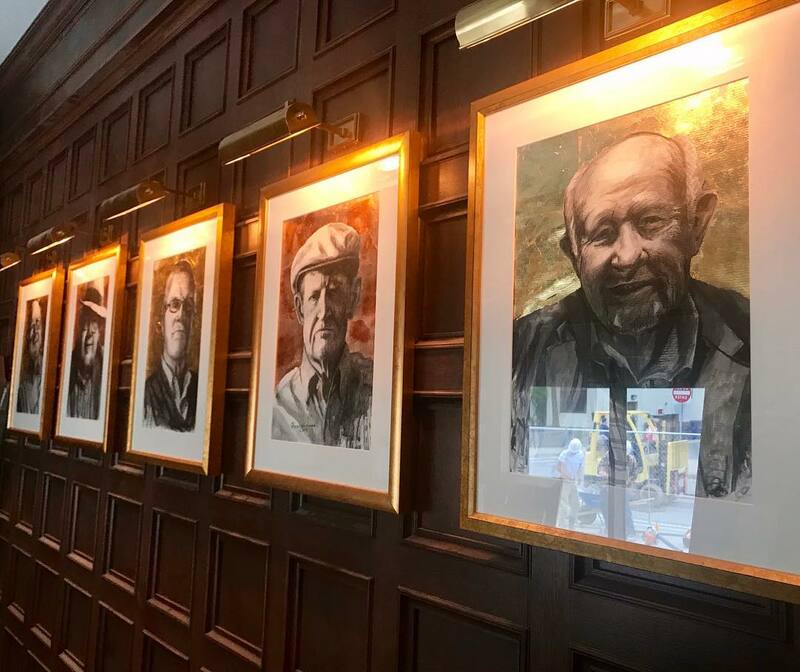 In Lexington, Kentucky the new Jeff Ruby's Steakhouse has a 'Bourbon Room,' decorated with images of such bourbon legends as Booker Noe, Jimmy Russell, Elmer Lee, and Bill Samuels. These are the names most bourbon fans know. But where are the portraits of Paul Kirn and Jimmy Kearns? Who? Those are just two of the dozens, perhaps hundreds, of unknown master distillers, distillers, and plant managers whose portraits probably will never hang in a fancy steakhouse. Here, for example, are some of the men (and they have pretty much all been men, although that is changing) who made the whiskey at just one defunct distillery, the Yellowstone Distillery on Seventh Street Road in Shively, just south of Louisville. Yellowstone goes back to J. Bernard Dant's Cold Springs Distillery, which he started at Gethsemane in 1865. He later merged it with Taylor & Williams, a Louisville wholesaler that owned the popular Yellowstone bourbon brand. After Prohibition, J. Bernard and his three sons: Mike, Walter and Sam, and Jimmy Kearns, a nephew, built a new Yellowstone distillery in Shively. Wilmer Beam, one of the seven distiller sons of Joseph L. Beam, was the distiller. (We would probably say 'master distiller,' but that term wasn't commonly used in those days.) Jimmy Kearns was plant manager and president. When the Thompson family's Glenmore Distilleries bought Yellowstone in 1944, Kearns moved to headquarters as a corporate vice-president and Paul Kirn succeeded him as plant manager. When Willmer Beam retired, Poss Greenwell became the distiller. Jack Beam, Wilmer's nephew, followed Greenwell. He was followed by Joe Ruttle. Bill Creel followed him. 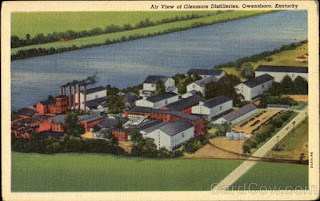 When the plant stopped distilling in the 80s, Creel went to Barton in Bardstown. We only know this particular list, from one distillery spanning about 50 years, because Sam Cecil knew all of them and wrote it down in his book, The Evolution of the Bourbon Whiskey Industry in Kentucky. Today, the Dant and Beam families are making Yellowstone again at the Limestone Branch Distillery in Lebanon. Proprietors Steve and Paul Beam are descended from both families. And so it goes in bourbon country. Legends like Booker and Jimmy deserve all the recognition they receive, but the next time you sip on some fine Kentucky nectar, give a thought to the many unknown distillers and distillery hands who made Kentucky bourbon whiskey what it is today. If "provenance versus taste" seems like a false dichotomy, that's because it is. As whiskey has become more popular, provenance issues have arisen from time to time. Where was this whiskey made? How? From what? By whom? Is the label misleading? In the midst of all that, inevitably someone will declare, "I don't care about all that stuff, so long as it tastes good." To people trying to have a serious conversation about provenance, that sort of brush-off can grate, but it gets to a truth we enthusiasts often forget. A good drink for a good price really is the bottom line. I care a lot about provenance. The history and culture of America's whiskey makers is what attracted me in the first place. That is separate from liking to drink the stuff. While it may sound romantic to say knowledge makes the whiskey taste better, it actually doesn't. I am musing about this because Beam Suntory's recent Legent Bourbon got me interested in the company's new Ao World Whiskey, just released in Japan, which led me to some of Dave Broom's writing about transparency issues in the Japanese whisky industry. Does Japanese whisky made entirely in Japan taste different from 'Japanese whisky' that is 90 percent imported bulk whisky from Scotland or someplace else? Two whiskeys with different provenance may taste different, but provenance isn't the reason. Terroir? Maybe, but national borders don't have some magical effect on distillate. That it tastes a certain way is what matters, why it tastes that way does not. If you like the flavor, buy the product. You don't need the recipe. It's not like you're going to try to make it yourself. One can easily get lost in the weeds on provenance questions. I'm someone who enjoys his time in the weeds, but not everyone does. This advice is for everyone who just wants a good drink for a good price. Don't trust anything you read or hear. It's all nonsense. Don't trust your friends. No, not even your bartender. Drink the cheapest thing that tastes good to you. If the label embarrasses you, use a flask or decanter. Then if you also find provenance interesting, join the conversation. What drives so much of this is that most people don't trust themselves, which makes them susceptible to the wiles of charlatans and quick-buck artists. Unfortunately, even well-meaning advisors can't offer much help because only you can decide what tastes good to you. Only you can decide how much you are willing spend. Trust yourself, your own palate, and your own wallet. There is no more to it than that. The new IJW barrelhouse on Lebanon Road (KY-34) southwest of Danville. 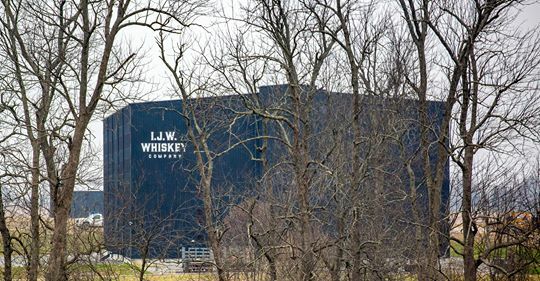 Yesterday, the Detroit Free Press broke a story that traces a new Kentucky whiskey concern, IJW Whiskey, to an investment by the University of Michigan. It appeared under the headline, "Mystery surrounds University of Michigan's possible whiskey investment." The company has kept a low profile since it bought and began to develop its property outside of Danville more than a year ago, but its business plan, while unusual, is not as mysterious as its ownership. The 142-acre tract, acquired from the Boyle County Industrial Foundation, is adjacent to the Wilderness Trail Distillery. 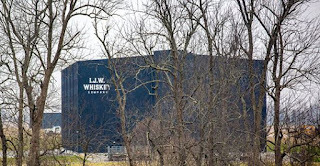 The long-term plan presented to the county will involve 17 whiskey aging warehouses plus a 'presentation center' and an access driveway from Lebanon Road. The short-term plan calls for three warehouses that are only accessible via the Wilderness Trail property. Sources tell us Wilderness Trail is making the whiskey going into those warehouses now, on a contract distilling basis. Sources further tell us that IJW has no plans to build its own distillery on the site. That's the unique part. Typically, a non-distiller producer (NDP) either buys aged whiskey that is ready to sell, or buys new-make and pays the distiller a fee to store it until it matures. IJW is an NDP, in that their whiskey is contract distilled, but they are taking delivery and maturing it in warehouses they own and operate. This project is interesting for several reasons, possible ownership by a major out-of-state university notwithstanding. 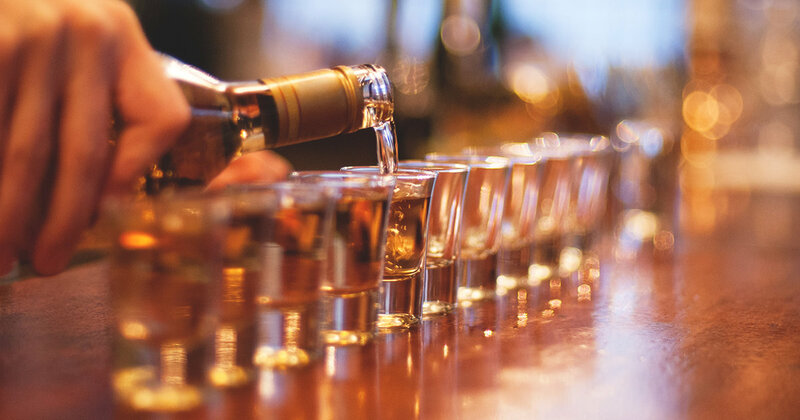 First, the contract distilling market, which was extremely tight just a few years ago, apparently has added enough capacity for this business model to make sense, both now and going forward. Wilderness Trail is supplying them now, but they can buy new make from several other new distilleries nearby too. Second, the company's owners clearly believe aged whiskey will be a valuable commodity in the coming years, even though the company owns no brands. They are betting that the market for Kentucky bourbon and other American whiskeys will continue to grow. Third, although we don't know this, the business model may also be to provide maturation services for distillers and other NDPs. Whiskey warehousing has never been a free-standing business but there is no reason it can't be.That's another innovation. The U.S. distilled spirits industry became vertically integrated after Prohibition, in part to please regulators. This may represent its decoupling. What they will do with their whiskey when it does mature in a few years is unknown, to us and perhaps also to them. 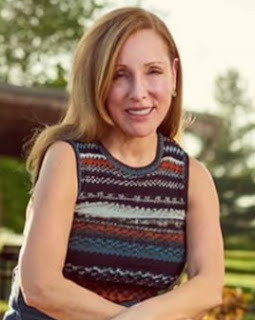 Jody Lassiter, president of the Danville-Boyle County Economic Development Partnership, characterizes the business as having “low job intensity” but “high capital intensity,” with thousands of barrels of bourbon generating “a huge amount of property taxes,” especially for the Boyle County School District. 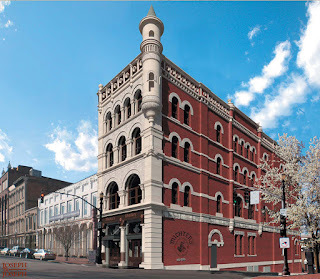 More recently, IJW has purchased a building on West Main Street in Louisville. The site, near the YUM Center and the Second Street Bridge, suggests something more public-facing than mere offices. 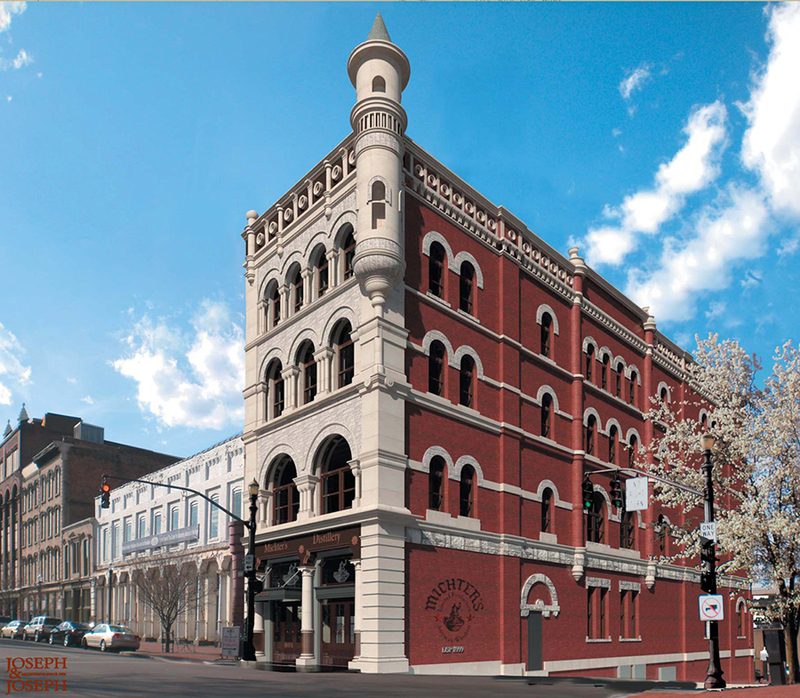 Main Street is Louisville's historic 'Whiskey Row' and is becoming so again, hosting brand 'home places' for Evan Williams, Michter's, Old Forester, and Angel's Envy. Marci Palatella, owner of Bardstown's Preservation Distillery. Yesterday, the U.S. Attorney’s Office in Massachusetts released a list of 50 individuals charged in a nationwide college admissions bribery scheme. One of them has a tie to Kentucky’s bourbon industry. She is Marci Palatella, founder and owner of Preservation Distillery in Bardstown, Kentucky. She is charged with felony conspiracy to commit mail fraud and honest services mail fraud. According to the indictment, Palatella paid approximately $500,000 to secure her son’s admission to USC. Marci Palatella is married to Lou Palatella, who played guard for the San Francisco 49ers (1955-1958). After football, he became a liquor distributor in Northern California. They also own Campeón Tequila. Their liquor company, which is run by Marci Palatella, is called Allied Lomar Inc.
Allied Lomar is better known in the industry for suing other liquor companies than they are for any of their own products. They got into it with Diageo over use of the Stitzel-Weller name, and with Garrison Brothers about the name Cowboy Bourbon. In 2015, the Palatellas bought the Bluegrass Expo and Convention Center, adjacent to the US-31E exit of the Bluegrass Parkway, and installed a small distillery. They joined the Kentucky Distillers' Association and started to give public tours last year. 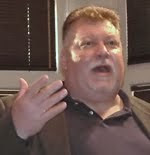 4/16/19: Palatella has pleaded not guilty to charges of money laundering conspiracy and conspiracy to commit mail and wire fraud, and honest services mail and wire fraud. Nary a Glimpse of Bourbon in "Glimpses of Kentucky"
Back in the days when movie theaters showed something other than coming attractions before the feature, one common short was "Traveltalks," whose presenter was James Fitzpatrick. 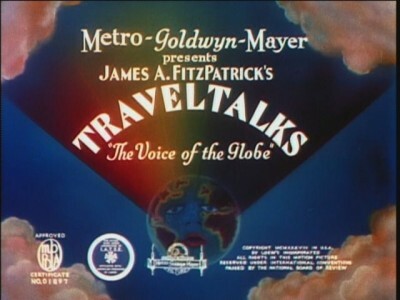 In 1940, he presented "Glimpses of Kentucky." It's a nice, little ditty you can sometimes catch on TCM. With the exception of a brief nod to mint juleps, recommended as a refreshment after horse riding, there is no mention of bourbon whiskey. The bourbon industry was certainly active in Kentucky in 1940, but it followed the repeal of Prohibition by less than a decade. Kentucky made bourbon and its government was happy to collect the industry's taxes, but they didn't brag about it. Kentucky just didn't tout its bourbon industry in those days. It never did until the recent era, beginning with the administration of Steve Beshear (2007-2015). Matt Bevin, the current governor, has continued that support. He shows up at most major industry events, such as the recent opening of Michter's Fort Nelson facility in downtown Louisville. One of the most valuable forms of backing is indirect, the commonwealth's support for bourbon tourism. Bill Samuels of Maker's Mark tells the story of the hoops he had to jump through to get the Transportation Department to erect signs to guide people to his distillery. Years later, after the Kentucky Distillers Association established the Kentucky Bourbon Trail, brown 'attractions' signs appeared for all of the distilleries that welcomed visitors. Although neo-prohibitionist types object, the economic development argument has proven persuasive to Kentucky's government and the governments of most other states that have distilling interests, which is quickly becoming most of them. A new "Traveltalk" for Kentucky would probably still feature a lot of horse stuff, but you can bet bourbon would be front and center too. Fort Nelson is literally where Louisville began. Built in 1781, it was an actual fort for American troops under the command of George Rogers Clark, who were there to secure the Ohio River and protect the tiny settlement of Louisville from Native American and British attacks. It was named after Virginia Governor Thomas Nelson, Jr., as Kentucky was then still part of Virginia. After the fort came the city and in about 1870, an ornate, new structure arose on part of the old fort site. It even took the old fort's name. This was Louisville's original 'Whiskey Row.' Distilleries were out in the country but Whiskey Row was where the companies had their offices, sales rooms, and warehouses. If, like the Fort Nelson, your building was on the north side of Main, you could simply roll barrels out your back door, down to the river bank where paddlewheel steamers awaited. The buildings in this district tended to be utilitarian. Occupying a corner lot, Fort Nelson's builders set out to be a bit more grand, with pillars and arches and a mighty turret. In the late 20th century, most of the neighborhood became run down. Many of the buildings stood empty for years. Fort Nelson was one of them. As the neighborhood began its revival in the 1980s, many uses for the Fort Nelson were proposed. A local coffee roaster wanted to put a coffee museum there, but wound up donating the building to the city instead. Fast forward to 2011. Michter's comes to town with a big announcement. They are bringing their New York-based bourbon business to Kentucky. With much fanfare they announce that they have purchased the Fort Nelson Building, which they intend to restore as their brand's 'home place.' The facility will include all the accoutrements of a whiskey brand visitors center, including a small distillery. They expected to have it open by spring of 2013, becoming the first distillery to return to downtown. It was not to be. When they really got into it, they discovered that the building was structurally unsound. The schedule was immediately blown. So was the budget. Michter's moved forward with their production-scale facility in Shively, in the neighborhood that took the name 'Whiskey Row' after Prohibition because most of the companies built their new distilleries there. And they tried to figure out what to do with Fort Nelson. They intended the renovation to be done to National Registry standards, so they threw out the budget and the timeline and started over. In the meantime, Heaven Hill became the first new downtown distillery, followed by Kentucky Peerless and Angel's Envy. Jim Beam opened their Urban Stillhouse. Even Rabbit Hole got there before Michter's did. So did Brown-Forman's Old Forester. Michter's began distilling in Shively in August of 2015, but they were still plugging away at Fort Nelson. Michter's Fort Nelson opened to the public last month to much acclaim. I haven't been yet, but by all accounts their persistence paid off. They took their time and did it right; a beautiful job. Lew Bryson writes about it in The Daily Beast here. For more about the site history go here and here. For some of my past posts on the subject, go here, here, and here. Where has the time gone? It has taken me five months to get this issue of The Bourbon Country Reader out. Sorry about that. I hope the wait will be worth it. I'm doing something different with this issue, devoting the entire thing to a single subject: whiskey maturation. In my many years of writing about American whiskey, it has struck me that maturation is often short-changed. Perhaps that's because so much of what is going on is invisible and quiet, with no moving parts. Fermentation and distillation are much more dramatic, with myriad sights, sounds, and smells. In contrast, a bunch of wooden barrels sitting in a nondescript building is a snooze. But you only have to compare 'white dog' to well-aged bourbon to know something akin to magic is going on inside those white oak cocoons. Current Reader subscribers should receive their copies in the next few days. New subscribers can get on the bandwagon by clicking here. A subscription to The Bourbon Country Reader is still just $20 per year for addresses in the USA, $25 for everyone else. The Bourbon Country Reader is published six times a year, more-or-less, but your subscription always includes six issues no matter how long it takes. For those of you keeping track, this new one is Volume 19, Number 2. What follows is a press release, but it seems to do the job just fine. I deleted the most self-serving corporate claptrap. I've met O’Driscoll and he's a good guy, with a great mix of experience. He replaces Denny Potter, who is now at Maker's Mark. Potter replaced Greg Davis, who was promoted to Director of Distillation at the Jim Beam Distillery in Clermont. Young distillers building a career, which was practically impossible two decades ago, are another sign of industry health. Heaven Hill has confirmed that their press release was in error. O'Driscoll is actually the seventh master distiller in Heaven Hill's 84-year history. They are Joseph L. Beam, Harry Beam (father and son), Earl Beam (cousin), Parker and Craig (Earl's son and grandson), and Denny Potter. I have taken the liberty of correcting both the headline above and the text that follows. 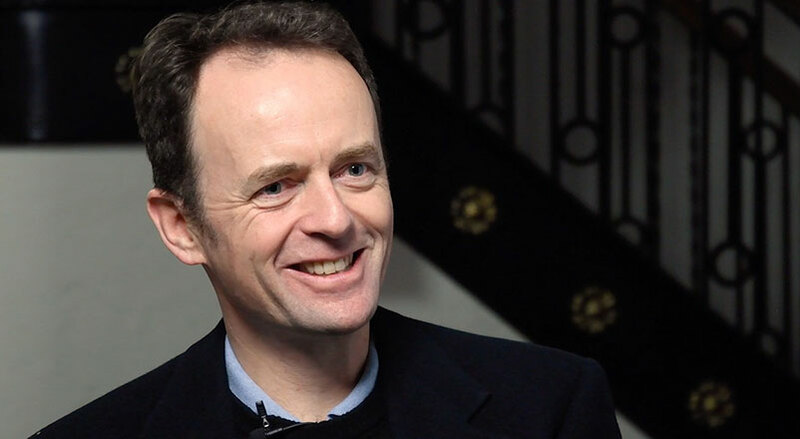 Heaven Hill Distillery is proud to announce Conor O’Driscoll as the seventh Master Distiller in its 84-year history. O’Driscoll’s wealth of experience in the industry and technical expertise gives him the ability to focus on quality, authenticity and innovation, all hallmarks of the Heaven Hill distilling legacy.